I do not have any market dollars but I do have a keyboard. 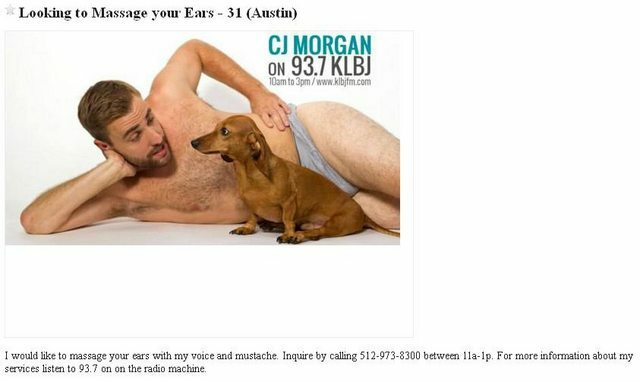 So, I went to work and started promoting my radio show on Craigslist. Here are a few of my posts. 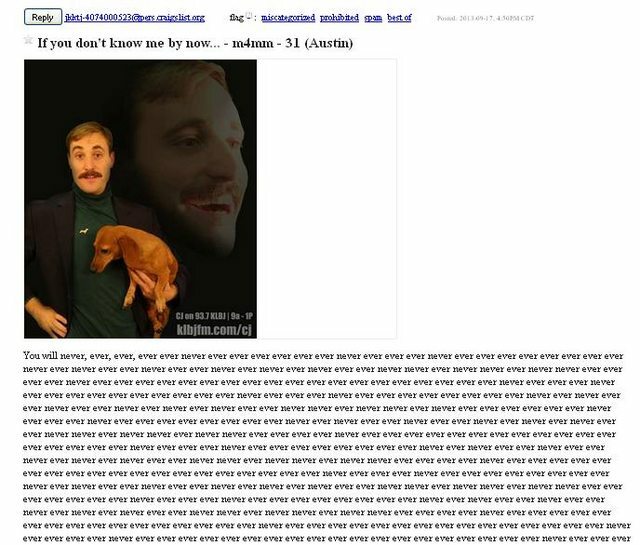 Can you find the others? Hint: No. These are all I have done so far. Looking for aspiring actors, improv troupes and artists for interesting live art avant-garde piece. You will essentially be playing cats; living in the wild for six weeks, feeding yourselves, cleaning your cells and acting only as a cat. You can not speak, you may only meow. You will not be compensated financially, however this will look great on your resume and is purfect training for method acting. 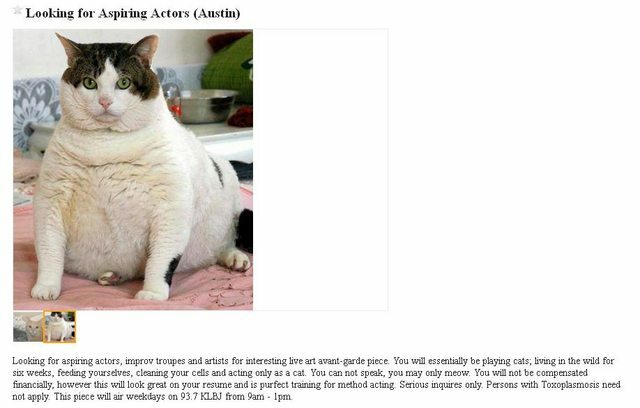 Please have cat-like headshots and call 512-973-8300 between 11am – 1pm to audition. This piece will air weekdays on 93.7 KLBJ from 9am – 1pm. Serious inquires only. Persons with Toxoplasmosis need not apply. Need a machinist who is good with electronic devices and assembling small parts. I have been contracted by a group of Libyans to build a combustion apparatus. I need someone who can take parts from my pinball machine and make a realistic, but non function device. Can explain over the phone. Time is not a factor. 512-973-8300, call between 11a-1p. I am seeking 2-3 people to participate in a clinical research study. 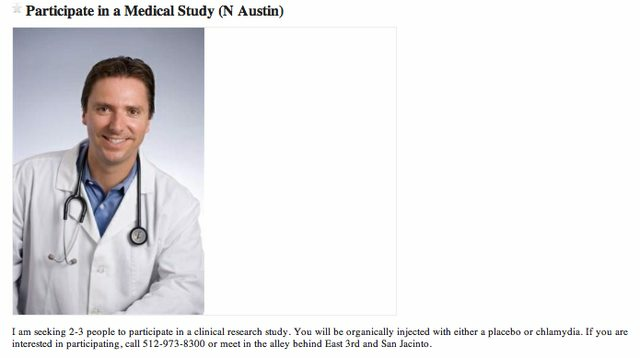 You will be organically injected with either a placebo or chlamydia. If you are interested in participating, call 512-973-8300 or meet in the alley behind East 3rd and San Jacinto.